Change them, basically. I suggest the spring way, using sprites (images) to make the lasers look cooler, they also don't look like lasers in TA3D at the moment, they look dull. They need to be lighter rather than coloured stretched blobs. I made an example of what I mean with two of my own home made lasers in photoshop. Is there a way to make this happen? It could be done using a texture with alpha channel which can be repeated indefinitely, eventually I can add a head and tail to the laser (let's say top/bottom of the texture or left/right). Since it has yet to be implemented, I let you chose what you think is more convenient. Left and right would be convenient, by adding head and tail you mean another small image attached to each end correct? Easily enough done, and repeating the middle image would be great, this way you can choose how long it is by choosing how many times the image repeats, right? How goes the progress? Want me to make some quick head and tail for it along with an alpha map image? Textures can be replaced for each laser weapon. I am wondering if it would be better to have the texture including the head and tail directly and when the laser hits something the head is just not drawn (texture is just cut to current laser length), this would give you full control over the laser texture from your image editor. What do you think ? Looks brilliant! apart from the laser has a shadow. How is the way you suggested different from the original plan? Unless you mean to make the head and tail all in one image? That's it all in one image. And how about animated effects? Like the sequence of images? Like the electric beams? The electric beams are not a texture effect. Ah, in such a case then I made this image too, laser with head and tail. If you want to make it shorter you only need to cut part of the middle out. Another thing you have yet to consider it flares from the guns, they can be sprite based too now. No need for any special effects, just make sure they look bright. Interresting, but on what model you put that texture ? A plane ? A boxe ? A cross ? 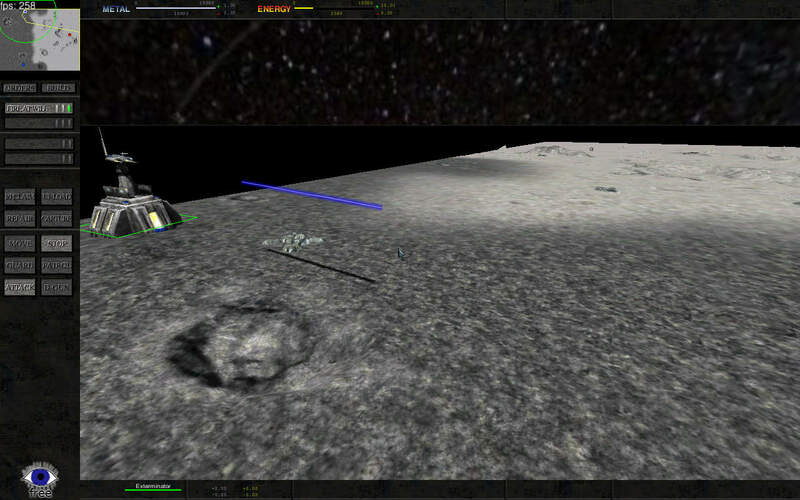 Laser textures are billboards aligned with the laser trajectory so geometrically they are quads looking towards the camera. zuzuf wrote: Laser textures are billboards aligned with the laser trajectory so geometrically they are quads looking towards the camera. I fear i don't understand. The game put it on a plane itself put at 90° to the camera ? Same for the start and end flares ? How do i do for make use of that ? D.Durand wrote: The game put it on a plane itself put at 90° to the camera ? D.Durand wrote: Same for the start and end flares ? No, currently flares are implemented as parts of the 3D model which are hidden/shown using scripting as in OTA. D.Durand wrote: How do i do for make use of that ? Bon, alors j'ai essayé. Le problème est que l'image proposée par Matman fonctionne très bien (on voit un laser bleu), mais dès que je change les couleurs du laser dans photoshop, TA3D m'affiche simplement un trait noir. À quoi cela peut-il être du ? Well, now, even the image downloaded from here are black. I joins an image done in the Gimp (Photoshop is pretty bad with PNG transparency) : When TA3D use it (it's the ARM LLT shooting), the shoot is black. Transparency is transparent, but all the color of the laser is black. Did you enable the "'developer mode" option in the advanced option tab ? It disables caches which may interact badly with updated content. Yes. But my TA3D never make cache (or delete it after the game, i don't know). You had done that some month agos. blur the ends a bit. they kinda look square. i would probably go as far as to say they look like blue illuminated rectangles.